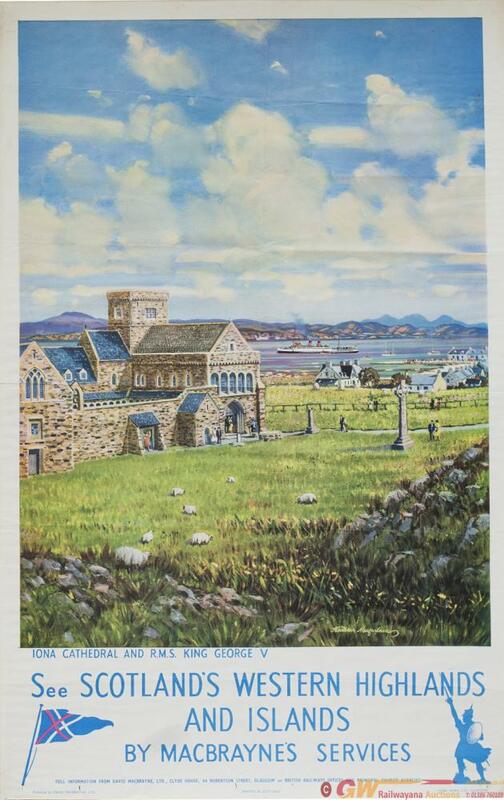 Poster BR/ MACBRAYNE'S IONA CATHEDRAL AND R.M.S. Poster BR/ MACBRAYNE'S IONA CATHEDRAL AND R.M.S. KING GEORGE V by Alasdair MacFarlane. Double Royal 25in x 40in. In good condition, has been folded.